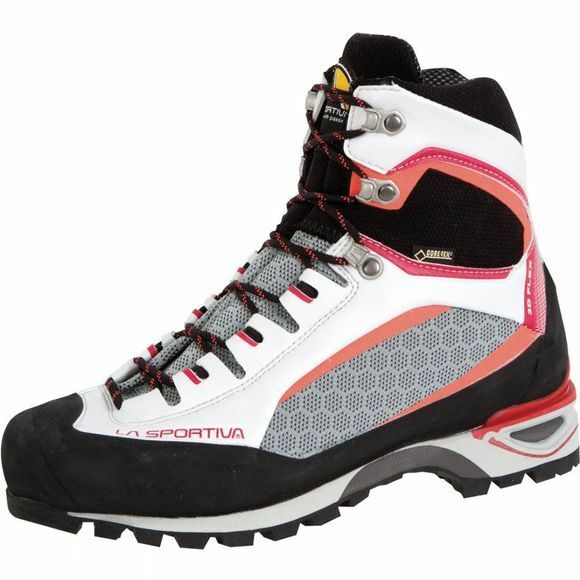 The Women's Trango Tower Boot from La Sportiva has been designed for trekking or mountainering with a heavy pack. It has a Honey-Comb Guard reinforced upper with mapped abrasion for durability in tough conditions. A PU toe is featured that is extremely durable and will withstand the impact of kicking into ice while wearing a crampon. Not only are your feet well protected but they will also be kept dry as a Gore-Tex membrane is present, ensuring a healthy micro-climate for your feet. 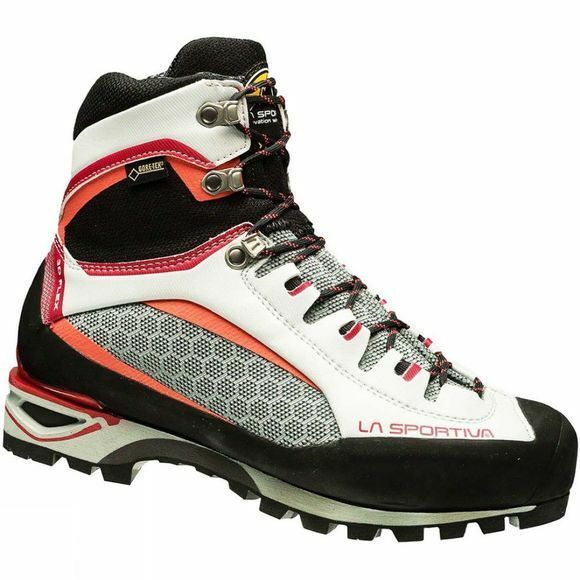 La Sportiva have developed an outsole exclusively with Vibram to ensure excellent grip, and they are made with graded TPU suitable for crampons at the back. So whatever the mountain throws at you you'll be ready.